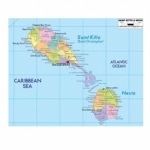 The Islands are independent but were once a colony of the United Kingdom. The Federation is a constitutional monarchy. The Queen is the head of state and is represented in the country by a governor-general, who is appointed by her government in London. There is a National Assembly which, together with the Queen, forms the Parliament. Along English parliamentary lines, day-to-day government is run by a prime minister and his cabinet. Nevis is entitled to no less than one-third of the seats in the National Assembly and, whilst represented in the National Assembly, Nevis also has its own legislature giving it substantial autonomy within the Federation and the capacity to enact its own regional laws. The national constitution contemplates and allows for Nevis to secede from the Federation should its people desire to do so. The Federation of St. Kitts and Nevis is served by the Eastern Caribbean Supreme Court with the final Court of Appeal being the Privy Council in London. The laws of the Federation of St. Kitts and Nevis are based on common law principles derived from the United Kingdom. The principal industry on the Island of Nevis has historically been agricultural and, in more recent years, tourism, but with the enactment of the Nevis Business Corporation Ordinance in 1984, the government turned its attention toward building a financial services industry. While not as well known as its British Virgin Islands “cousin”, the Nevis Business Corporation is a proven tax exempt vehicle of choice for many financial planning practitioners. In addition to being extremely flexible, the licensing fees attaching to these companies are always likely to remain competitive. In 1995, the government of Nevis added to its range of tax-exempt vehicles by enacting The Nevis Limited Liability Company Ordinance. This legislation creates an entity which provides significant asset protection to the user and can be treated as a corporation or a partnership for tax purposes in a number of advanced economies, particularly in the USA. Additionally, Nevis has trust legislation which, when used in conjunction with either the Nevis Business Corporation or the Nevis Limited Liability Company, can be extremely useful in the preservation of wealth. The official language of the Federation of St. Kitts and Nevis is English and the official currency is the Eastern Caribbean Dollar which trades with the US dollar at approximately EC$2.70 to US$1.00. As a medium of monetary exchange, US dollars are accepted within the Islands. As with its neighbour, Anguilla, in Nevis there is an adequate pool of local trust companies, law firms, accounting firms and banks such that users of the financial services facilities offered can be comfortable that competition for their business exists. With its unique independent status, Nevis is able to develop its international financial centre activities with the minimum of interference from third parties with conflicting interests and agendas. The government is committed to quality and excellence and the future for this jurisdiction looks bright. Enacted in 1984, with subsequent amendments, the Nevis Business Corporation Ordinance is modeled on Delaware corporate statutes. The language is clear, easy to understand and was drafted with the needs of the modern investor as a foremost consideration. The advantages of using the Nevis Business Corporation for tax exempt investment and asset protection can be summarised as follows:Shareholders, Directors and Officers may reside anywhere in the world and be of any nationality. Their meetings may also be held anywhere in the world. There are no Nevis residency or nationality requirements. Nevis Business Corporations are totally exempted from taxation in the jurisdiction. Under present regulations there are no income taxes, estate taxes, corporate taxes, withholding taxes or exchange controls in Nevis attaching to them. There are no requirements for the filing of annual reports with any government authority. A Nevis Business Corporation is entitled to complete privacy with regard to its legitimate affairs. Proxy Holders and Alternate Directors are permitted. the Registered Agent (or another approved Nevis-based custodian) must maintain custody of the bearer share certificate on behalf of the beneficial owner. The authorised share capital of the Nevis Business Corporation may be denominated in any recognized currency. The identity of beneficial owners and shareholders are not required to be filed in any public record or, except in the case of licensed companies, government office. Similarly, changes in beneficial ownership or shareholdings are confidential. The government annual renewal fee is among the lowest in the world. The Nevis International Business Corporation Ordinance provides for Normal and Emergency Transfer of Domicile to Nevis from anywhere around the globe. Amendments to the Articles of Incorporation, mergers or consolidations with foreign corporations can be carried out with a minimum of bureaucratic interference enhancing efficiency and reducing costs. 1. What is the annual registration charge for a Nevis Business Corporation and are there any sliding scales relating to authorised share capital? The annual registration charge for a Nevis Business Corporation is US$220.00. This charge is unaffected by the amount of the company’s authorised share capital. Due on the anniversary of the incorporation date and must be paid within one month of that date. When payment of the annual renewal is made more than one month but less than six months from the anniversary date. When payment of the annual renewal is made more than six months but less than 12 months from the anniversary date. When payment of the annual renewal is not made within one year of the anniversary of incorporation. In addition to the annual registration charge the Nevis Registrar of Companies will, at the request of the company, issue a Certificate of Renewal at a cost of US$5 at the time that the registration charge is paid. 2. What is the government charge to register the incorporation of a Nevis Business Corporation and are there any sliding scales relating to authorised share capital? The government charge to register the incorporation of a Nevis Business Corporation is US$220.00 regardless of the authorised share capital. In addition to the registration charge each Nevis Business Corporation must pay US$10 for Certificate of Incorporation of the company and US$5 for the Certificate of Endorsement of the company. These additional charges are compulsory. 3. Are there any requirements to disclose beneficial owners of a Nevis Business Corporation to the general public and are there any requirements to file details of officers and directors with the public or any other Registry in Nevis ? There are no requirements to disclose beneficial owners of a Nevis Business Corporation to the general public or to file copies of any details of officers or directors with the public or any other Registry in Nevis . However, the government encourages the “Local Agents” to keep registers of such information at their offices in Nevis . b. Meetings of the Directors of a Nevis Business Corporation? 60(1) Meetings of shareholders may be held at such place, either within or without Nevis , as may be designated in the bylaws. 60(2) An annual meeting of shareholders shall be held for the election of directors on a date and at a time designated by or in the manner provided in the by-laws. Any other proper business may be transacted at the annual meeting. 60(3) A failure to hold the annual meeting at the designated time or to elect a sufficient number of directors to conduct the business of the corporation shall not affect otherwise valid corporate acts or cause a dissolution of the corporation except as may be otherwise specifically provided in this Ordinance. If the annual meeting for election of directors is not held on the date designated therefore, the directors shall cause the meeting to be held as soon thereafter as convenient. If there is a failure to hold the annual meeting for a period of ninety days after the date designated therefore, or if no date has been designated for a period of thirteen months after the organization of the corporation or after its last annual meeting, holders of not less than ten percent of the shares entitled to vote in an election of directors may, in writing, demand the call of a special meeting specifying the time thereof, which shall not be less than two nor more than three months from the date of such call. The secretary of the corporation upon receiving the written demand shall promptly give notice of such meeting, or if he fails to do so within five business days thereafter, any shareholder signing such demand may give such notice. Written resolutions may be used in place of an actual meeting if preferred. b.The frequency of meetings of the directors of a Nevis Business Corporation shall be governed by the articles of incorporation or the bylaws of the corporation. 52(2) Unless otherwise provided by the bylaws, regular meetings of the board may be held without notice if the time and place of such meetings are fixed by the bylaws or the board. Special meetings of the board may be called in the manner provided in the bylaws and shall be held upon notice to the directors. The bylaws may prescribe what shall constitute notice of meeting of the board. A notice or waiver of notice need not specify the purpose of any regular or special meeting of the board, unless required by the bylaws. 52(3) Notice of a meeting need not be given to any director who submits a signed waiver of notice whether before or after the meeting, or who attends the meeting without protesting the lack of notice. 5. Are there any requirements for a Nevis Business Corporation to prepare annual financial statements? 76(1) Every corporation formed under this Ordinance shall keep correct and complete books and records of account and shall keep minutes of all meetings of shareholders, of actions taken on consent by shareholders, of all meetings of the board of directors, of actions taken on consent by directors and of meetings of the executive committee, if any. 6. Are there any requirements for a Nevis Business Corporation to file any form of annual return or tax return? There are no requirements for a Nevis Business Corporation to file any form of annual return or tax return in Nevis . Such corporations are, however, required to provide certain details to the public registry at the time of paying their annual registration charge. 7. What does the annual registration charge filing form for a Nevis Business Corporation disclose? 8. Are bearer shares permitted for a Nevis Business Corporation? Bearer shares are permitted for a Nevis Business Corporation. 9. Are there any restrictions relating to the issuance of bearer shares by a Nevis Business Corporation? – A record must be maintained by the company’s Registered Agent of each bearer share certificate issued by the corporation. – The Registered Agent (or another approved Nevis-based custodian) must maintain custody of the bearer share certificate on behalf of the beneficial owner. 10. Must all issued shares of a Nevis Business Corporation be fully paid up? No. Partial calls are permitted. 33(3) Unless otherwise provided in the subscription agreement, subscription for shares, whether made before or after the organization of a corporation, shall be paid in full at such time, or in such installments and at such times, as shall be determined by the board of directors. Any call made by the board of directors for payment on subscriptions shall be uniform as to all shares of the class or as to all shares of the same series, as the case may be. 33(4) In case of default in the payment of any installment or call when such payment is due, the corporation may proceed to collect the amount due in the same manner as any debt due the corporation. The bylaws may prescribe a penalty for failure to pay installments or calls that may become due, but no penalty working a forfeiture of a subscription, or of the amounts paid thereon, shall be declared as against any subscriber unless the amount due thereon shall remain unpaid for a period of thirty days after written demand has been made therefore. However, certificates for shares may not be issued until the full amount of consideration therefore has been paid. (See Section 35(2)). 11. Can CHCL Fiduciary Group open bank accounts in Nevis on behalf of it’s clients and, if so, what are the requirements? CHCL Fiduciary Group can, through its agents in Nevis , arrange for the opening of bank accounts in Nevis on behalf of its clients. a. Notarised copies of valid passports and S.S. cards of all signatories to the account and principal owner if not a signatory. b. Certified Copy of Certificate of Incorporation or Good Standing Certificate. c. Certified copy of Articles of Incorporation. e. Proof of physical address of company. f. Proof of physical addresses of the signatories to the account. 12. What is the minimum number of directors that a Nevis Business Corporation may have and what are the restrictions on having less than three directors? 46(1) The number of directors constituting the entire board shall not be less than three except that where all the shares of a corporation are held by fewer than three shareholders, the number of directors may be fewer than three but not fewer than the number of shareholders. Subject to such limitations, such number may be fixed by the bylaws, by the shareholders, or by action of the board under the specific provisions of a bylaw. If not otherwise fixed under this section, the number shall be three. 13. Are Nevis Business Corporations required to have a President, Secretary and Treasurer or is the appointment of officers optional? (ii) a secretary, who shall each be appointed by the board or in the manner directed by the articles of incorporation or the bylaws. Such other officers shall be appointed as are required by the articles or the bylaws or as the board may determine are desirable or necessary to carry on the business of the corporation. All officers shall be natural persons except the secretary which may be a corporation. 58(3) Unless otherwise provided in the articles of incorporation bylaws, all officers shall be elected or appointed to hold office until the meeting of the board following the next annual meeting of shareholders, or in the case of officers elected by the shareholders, until the next annual meeting of the shareholders. 58(4) Each officer shall hold office for the term for which he is elected or appointed, and until his successor has been elected or appointed and qualified. 58(5) Any two or more offices may be held by the same person unless the articles of incorporation or bylaws otherwise provide. 58(8) Officers may be of any nationality and need not be residents of Nevis . 14. What is the standard authorised share capital of a Nevis Business Corporation incorporated by CHCL Fiduciary Group? The standard authorised share capital of a Nevis Business Corporation incorporated by CHCL Fiduciary Group is US$100,000 divided into 100,000 shares with a par value of US$1.00 each. 15. Can the authorised share capital of a Nevis Business Corporation be denominated in any recognised currency? While the Ordinance is silent on the matter the Registrar of Companies in Nevis accepts authorised share capital of a Nevis Business Corporation denominated in any recognised currency. 16. How many members must a Nevis Business Corporation have? There are no restrictions on the number of members a Nevis Business Corporation may have. 17. Is it true that a Nevis Business Corporation must have a Registered Office and a Registered Agent? If so, who can fill these positions? 17(1) A corporation subject to this Ordinance shall at all times have a registered agent in St. Christopher and Nevis . A corporation which fails to maintain a registered agent in St. Christopher and Nevis shall be in contravention of this Ordinance. 17(7) Only a barrister or solicitor admitted to practice in St. Christopher and Nevis or a corporation having paid-in capital of at least EC$500,000.00 may act as registered agent. 17(8) No barrister or solicitor or corporation shall act as registered agent unless first licensed by the Minister. The original application for licensing shall be in the prescribed form and accompanied by the prescribed fee and there shall be an annual fee payable in January of each year. The address of the corporation in Nevis , which shall be the address of its registered agent. 18. What restrictions on the use of names a Nevis Business Corporation have and what words must be included to indicate limited liability? (i) Shall contain the word “corporation”, “incorporated”, “company”, or “limited” or other words or an abbreviation of one of such or other words as will clearly indicate that it is a corporation as distinguished from a natural person or partnership. Assurance, Bank, Building Society, Chamber of Commerce, Chartered, Co-operative, Imperial, Insurance, Fund Management, Investment Fund, Loans, Municipal, Royal, University. 19. Can meetings of directors and shareholders of a Nevis Business Corporation be held anywhere in the world? 52(1) Meetings of the board, regular or special, may be held at any place within or without Nevis , unless otherwise provided by the articles of incorporation or by the bylaws. The time and place for holding meetings of the board may be fixed by or under the bylaws, or if not so fixed, by the board. 20. Can meetings of directors and shareholders of a Nevis Business Corporation be held by written resolution? Meetings of directors and shareholders of a Nevis Business Corporation be held by written resolution. a. A Nevis Business Corporation name check? b. Incorporation of a Nevis Business Corporation completed? c. Dispatch of a Nevis Business Corporation documentation? a. Names of a Nevis Business Corporation can be checked within one hour. b. Incorporation of a Nevis Business Corporation can be completed within one working day. c. Dispatch of a Nevis Business Corporation corporate pack can be completed within two working days of incorporation. The Nevis LLC provides more confidentiality, more flexibility and more advantages for the corporate and individual user. It is a business entity that provides an alternative to those who might consider using corporations or partnerships. With the enactment of the Nevis Limited Liability Company Ordinance, the Island of Nevis boasts state-of-the-art LLC legislation aimed at solving many of the problems that perturb lawyers and business persons using or hoping to use LLCs. It is analogous to the limited liability company in the USA, to limited life companies elsewhere in the Caribbean, to the GmbH in Germany, to the SARL in France and to Limitadas in Latin America. The United States Internal Revenue Service has indicated that limited liability companies generally may be taxed either as corporations, or as partnerships, with income and losses flowing through to the members without any incidence of tax effect at the entity level. The Nevis LLC Ordinance permits planners to structure their Nevis LLC in any manner that suits their particular needs. 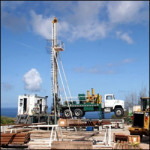 It may be used for any legitimate business venture or professional practice anywhere in the world outside Nevis, including international financing arrangements for US or non US operations, real estate holdings, manufacturing concerns and as an operational or investment vehicle for offshore trusts. Most international LLC statutes protect the company’s assets from the creditors of its members through the limitation of creditors to a charging order. The Nevis LLC Ordinance further specifies that this is the exclusive remedy available to the creditor and also gives the company the power to redeem creditor’s interests. One or more persons can form a Nevis LLC, such person or persons do not have to be a member or members of the LLC. The company is managed by a manager exclusive of the members or by all of the members. Managers may be corporations or individuals. The Nevis LLC should have at least one member and such member can be the Manager or any other person or business entity. Corporations are permitted to act as Managers and/or members. With regard to their purposes and powers, an LLC formed in Nevis may be used for “ANY LAWFUL BUSINESS” purpose or purposes. Many companies and individuals conduct Mutual Funds, Insurance, Stock Broking and other investment programmes through their Nevis LLCs. The failure of a Nevis LLC to keep or maintain records shall not be grounds for imposing liability on any manager, member or agent. For operational purposes, as opposed to a Nevis Business Corporation where the directors adopt By-Laws, the members of a Nevis LLC may enter into an “Operating Agreement”. All members must agree to such agreement before it becomes effective. An operating agreement need not be in writing. At least one name and address of a proposed member of the LLC. Exemption from tax and exchange controls. Right to anonymity of ownership, management and assets. No requirements for financial or annual reports to be filed. Designation of manager is optional. No residency requirements for managers, members or any other officers of the LLC. Maintenance of records is optional. Any one person or persons forming an LLC need not be a member or members of the LLC. 1. What is the annual registration charge for a Nevis Limited Liability Company and are there any sliding scales relating to members’ capital contributions? The annual registration charge for a Nevis Limited Liability Company is US$220.00 . There are no sliding scales relating to members’ capital contributions. When payment of the annual renewal is made more than one month but less than six months from the anniversary. When payment of the annual renewal is made more than six months but less than 12 months from the anniversary. 2. What is the government charge to register the organisation of a Nevis Limited Liability Company and are there any sliding scales relating to members’ capital contributions? The government charge to register the organisation of a Nevis Limited Liability Company is US$ 235.00. This charge is unaffected by the amount of the company members’ capital contributions. 3. Are there any requirements to disclose the beneficial owners (members) of a Nevis Limited Liability Company to the general public and are there any requirements to file details of the managers with the public or any other Registry in Nevis ? There are no requirements to disclose beneficial owners of a Nevis Limited Liability Company to the general public or to file copies of any details of managers with the public or any other Registry in Nevis . However, the government encourages the “Local Agents” to keep registers of such information at their offices in Nevis . a. An annual meeting of the members of a Nevis Limited Liability Company? b. Meetings of the managers of a Nevis Limited Liability Company? Except as provided in the company’s Operating Agreement there are no requirements for a Nevis Limited Liability Company to hold any annual meeting of the members or meetings of the managers. 5. Are there any requirements for a Nevis Limited Liability Company to prepare annual financial statements ? 10(1) Each member of a limited liability company has the right, at his own expense and subject to such reasonable standards (including standards governing what information and documents are to be furnished) as may be set forth in the operating agreement or otherwise established by the managers, to obtain from the limited liability company from time to time upon reasonable demand for any purpose reasonably related to the member’s interest as a member of the limited liability company such information and records as the limited liability company may maintain. 10(6) Failure of the limited liability company to keep or maintain records shall not be grounds for imposing liability on any manager, officer, member or agent of the limited liability company for debts, obligations and liabilities of the limited liability company. 48 Managers shall discharge the duties of their respective positions in good faith and with that degree of diligence, care and skill which ordinarily prudent men would exercise under similar circumstances in like positions. In discharging their duties, duly authorized members or managers, as the case may be and officers, when acting in good faith, may rely upon financial statements of the limited liability company represented to them to be correct by the manager of the limited liability company having charge of its books or accounts, or stated in a written report by an independent public or certified public accountant or firm of such accountants fairly to reflect the financial condition of such limited liability company. 6. Are there any requirements for a Nevis Limited Liability Company to file any form of annual return or tax return in Nevis ? No, there are no requirements for a Nevis Limited Liability Company to file any form of annual return or tax return in Nevis . 7. What does the annual registration charge filing form for a Nevis Limited Liability Company disclose? – A short statement that the company has paid the annual registration charge for relevant period. 8. How do members of a Nevis Limited Liability Company prove ownership of their memberships? A person may become a member of a Nevis Limited Liability Company upon compliance with the Operating Agreement of the company or, if the Operating Agreement does not so provide, upon the written consent of all the members. Evidence of ownership can be provided in the form of a Certificate of Incumbency issued by the company’s Registered Agent. 9. Are there any restrictions relating to the issuance of evidence of membership by a Nevis Limited Liability Company? There are no restrictions relating to the issuance of evidence of membership by a Nevis Limited Liability Company. 10. Must all capital contributions attributed to members of a Nevis Limited Liability Company be fully paid up? It is not necessary for all capital contributions attributed to members of a Nevis Limited Liability Company to be fully paid up. 37(3) A person may be admitted to a Nevis Limited Liability Company as a member and may receive an interest in the Nevis Limited Liability Company without making a contribution or being obligated to make a contribution to the company. However, the members’ liability for capital contributions must be set forth in the Operating Agreement. 11. Can CHCL Fiduciary Group open bank accounts in Nevis on behalf of it’s clients and, if so, what are the requirements ? CHCL Fiduciary Group can, through its agents in Nevis , arrange for the opening of bank accounts in Nevis on behalf of its clients. However, it is to be noted that no international banks on the islands of Nevis offer banking services to Nevis Business Corporations. a. Notarised copies of valid passports and S.S. card of all signatories to the account and principal owner if not a signatory. c. Certified copy of Articles of Organization and current Operating Agreement. d. Contact details of Company’s present bankers (if applicable). g. A professional and bank reference for each company beneficial owner and account signatory. 12. What is the minimum number of managers that a Nevis Limited Liability Company must have? 42(2) The operating agreement may fully or partially vest management duties in one or more managers, who may, but need not be, members. 13. Are Nevis Limited Liability Companies required to have a President, Secretary and Treasurer or is the appointment of officers optional? The appointment of officers of a Nevis Limited Liability Company is optional but at least a company secretary is recommended. 14. What is the standard members’ capital contribution of a Nevis Limited Liability Corporation incorporated by CHCL Fiduciary Group? There is no standard members’ capital contribution for a Nevis Limited Liability Company. There is no requirement for a statement of members’ capital contributions when incorporating. 15. Can a members’ capital contribution to a Nevis Limited Liability Company be denominated in any recognised currency? Members’ capital contributions to a Nevis Limited Liability Company may be denominated in any recognised currency. 32 The capital contribution of a member to a limited liability company may be in cash, property, services rendered, or a promissory note or other binding obligation to contribute cash or property or to perform services. 16. How many members must a Nevis Limited Liability Company have? There are no restrictions on the number of members a Nevis Limited Liability Company may have. 17. Is it true that a Nevis Limited Liability Company must have a Registered Office and a Registered Agent ? If so, who can fill these positions? 14(1) A limited liability company subject to this Ordinance shall at all times have a registered agent in St. Christopher and Nevis . A limited liability company which fails to maintain a registered agent in St. Christopher and Nevis shall be in contravention of this Ordinance. 14(7) Only a barrister or solicitor admitted to practice in St. Christopher and Nevis or a corporation having a paid-in capital of at least $500,000.00 may act as registered agent. 14(8) No barrister or solicitor or corporation shall act as registered agent unless first licensed by the Minister. The original application for licensing shall be in the prescribed form and accompanied by the prescribed fee and there shall be an annual fee payable in January of each year. 18. What restrictions on the use of names a Nevis Limited Liability Company have and what words must be included to indicate limited liability? (b) Shall not be the same as the name of a limited liability company or of any other company of any type or kind, as such name appears on the index of names of existing limited liability companies or companies or on the reserved name list maintained by the Registrar of Companies or a name so similar to any such name as to tend to confuse or deceive. 19. Can meetings of members and managers of a Nevis Limited Liability Company be held anywhere in the world? Subject to the terms and conditions of the Operating Agreement meetings of members and managers of a Nevis Limited Liability Company can be held anywhere in the world. 20. Can meetings of members and managers of a Nevis Limited Liability Company be handled by written resolution? Subject to the terms and conditions of the Operating Agreement meetings of members and managers of a Nevis Limited Liability Company can be handled by written resolution. a. A Nevis Limited Liability Company name check? b. Incorporation of a Nevis Limited Liability Company completed? c. Dispatch of a Nevis Limited Liability Company completed? a. Names of a Nevis Limited Liability Company can be checked within one hour. b. Organisation of a Nevis Limited Liability Company can be completed within one working day. c. Dispatch of a Nevis Limited Liability Company corporate pack can be completed within two working days of organisation . In addition to the standard common law trust, the Nevis International Exempt Trust Ordinance has created circumstances whereby it is possible for unlicenced non-resident professionals to act as trustee for their own clients instead of engaging a trustee unknown to their clients. This possibility is of particular interest to practitioners who do not habitually use trusts as a part of their client structuring but who, from time to time, have clients that prefer a trust and wish their trusted adviser (the professional practitioner) to incorporate and maintain a private trust company in Nevis. For the underlying trusts of these companies to qualify as exempt trusts, under the law, at least one trustee must be EITHER a licensed trust company doing business in Nevis OR a company incorporated under the Nevis Business Corporation Ordinance. As long as the Nevis Business Corporation acts only as a trustee, there is no requirement for it to be a licensed trustee in Nevis. Nevis controls these trusts and generates annual fee income from them by requiring that all trusts settled under the Nevis International Exempt Trust Ordinance are registered with the Government Registrar. 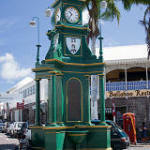 The registration must be done by a licensed trust company (or lawyer) doing business in Nevis. CHCL Fiduciary Group, through it’s Nevis office, can assist non-resident practitioners in complying with this requirement. – A certificate from a trust company or lawyer licensed in Nevis (the Registered Agent) certifying that the trust qualifies to be and will be an international trust as defined by the Trust Ordinance, and the date the trust was settled. NB: The trust must be registered with the Registrar within 45 days of the date in which the trust is settled. Annual registration fees (EC$608 – Approximately US$225); are due on or before the anniversary of the registration of the trust, and are usually paid through the Registered Agent on behalf of the trust. These Nevis Business Corporation trust companies are a unique opportunity for unlicensed professionals providing services from outside Nevis to have direct control over their clients affairs rather than assigning the responsibility to independent trustees not under their control.